Win Sports is the first Colombian sports channel broadcasting in pay-TV format. It offers live domestic football, which includes matches from the League, Cup and Postobon Tournament. 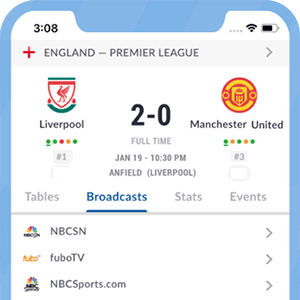 *Got itLive Soccer TV does not provide Win Sports live streaming. The information provided on this page is simply Win Sports soccer TV schedule.